Jessica Zaks, MD, a family medicine physician, has joined Tufts Medical Center Community Care. Dr. Zaks treats patients of all ages at 3 Woodland Rd., Stoneham. Dr. Zaks is board certified in family medicine. 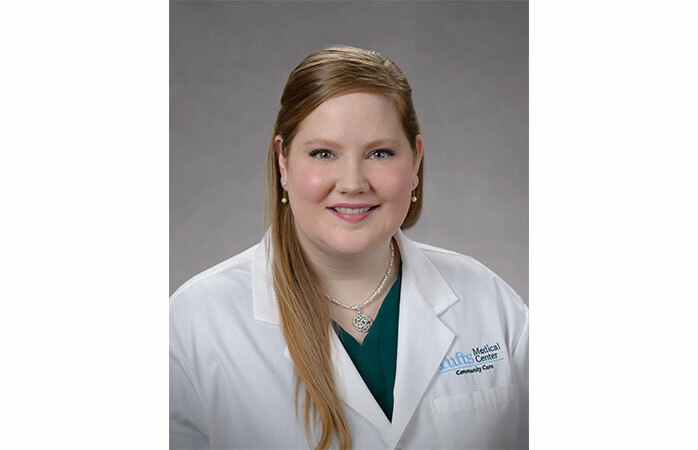 She has both outpatient and inpatient training and experience in adult and pediatric medicine. Her clinical interests include acute and chronic illnesses. Dr. Zaks received her medical degree from Trinity College School of Medicine in Dublin, Ireland and completed her residency in family medicine at Phelps Hospital Northwell Health and Westchester Medical Center in Sleepy Hollow and Valhalla, NY. Dr. Zaks is accepting new patients of all ages, offering online appointment scheduling and same day/next day appointments at her office at 3 Woodland Road, Stoneham. For more information or to make an appointment, call 781-338-7400 or visit www.tuftsmccommunitycare.org.